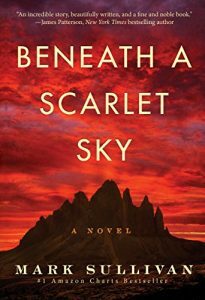 Beneath a Scarlet Sky by Mark Sullivan is a wonderful story of an average Italian teenager, Pino Lella, who lives a life that’s not heroic and not unusual. He’s a typical teenager — and that’s what drew me into this book. Pino Lella is easy to relate to. However, his life changes drastically when his home in Milan is destroyed as World War Two rages in Europe. What follows is an amazing story of suspense, courage, and love. This World War Two historical fiction novel is engaging and beautifully written, but what made it especially interesting for me is its accurate depiction of historical events and the fact that it’s based on a true story. 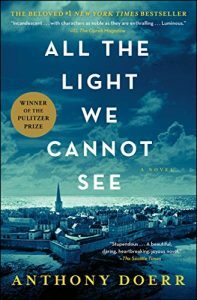 After reading the first few pages of All the Light We Cannot See, I was enchanted by Anthony Doerr’s beautiful writing, full of gorgeous metaphors and wonderful descriptive details. But the marvelous writing was just the beginning of an imaginative, touching, and thought-provoking story of a blind French girl and a German boy whose lives intersect during the German occupation of France. The novel raises the question of intelligence and its use, the purposes of science, and the moral conflict that the use of science can bring when it’s used for amoral purposes. This is World War Two historical fiction at its best. If you’re interested in the use of cryptography and code-breaking during World War II, you will love this book. It’s meticulously researched and based on true stories of American women who worked as code-breakers. 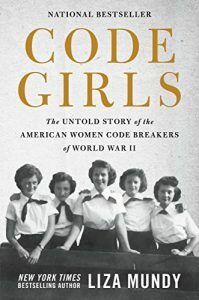 Code Girls starts like a thriller novel, with mysterious letters received by top female students in the best US colleges, followed by a series of strange interviews that eventually lead them to their code-breaking missions. Their stories are dramatic, compelling, and very human. The book presents them as everyday people worrying about mundane issues, like all of us do, while working in a highly stressful and a very important capacity. The cultural observation of the role of war in dramatically shifting the role of women and allowing them to be hired as highly-educated professionals is another intriguing aspect of this book. 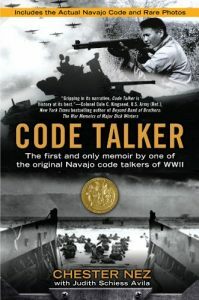 Code Talker is a true story of Chester Nez, an American World War II veteran and the last Navajo code talker (he died in 2014, at the age of 93). Having a reliable code seemed impossible for the US since the Japanese were able to crack all codes that the US military came up with. But that changed when the US Marine Corps tasked its Navajo recruits with creating a code based on their native language. The Navajo language worked perfectly for this mission because it had no written form and was practically impossible to learn for a non-Navajo. This book is a fascinating story that combines World War II history with the US history and with the Navajo history. This code was the only one that was never broken, thus helping the US win the victory over Japan in the Pacific. 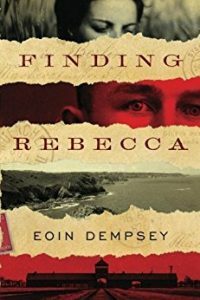 Finding Rebecca is a love story that starts in the most unlikely place imaginable (or unimaginable? ): a German concentration camp where a Nazi officer named Christopher is looking for a Jewish girl he loves. The story then jumps back to the time when Rebecca and Christopher met, and the readers learn about the dramatic events that led to the opening scene. 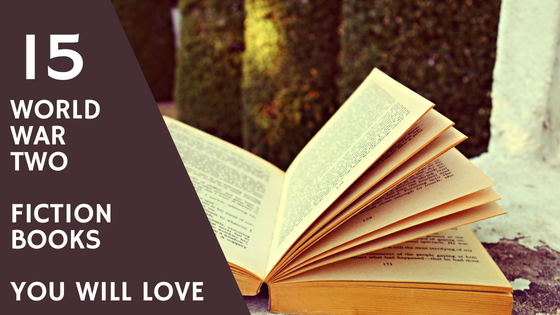 The book is emotional, poignant, and heart-breaking at times, but you won’t be able to put it down. It’s very well-written and very well-researched. Finding Rebecca is compelling from start to finish, and the ending is simply amazing. 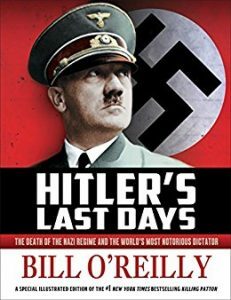 Like other historical books written by Bill O’Reilly, Hitler’s Last Days is engaging and well-researched. Bill O’Reilly pays attention to details and creates a compelling, believable and frightening portrait of the “world’s most notorious dictator,” to borrow O’Reilly’s words. In addition to his accurate portrayal of historic events leading to the death of Hilter and Eva Braun in the bunker, Bill O’Reilly provides deep insights into the mind of the man who could simultaneously love his dog and exhibit unthinkable cruelty towards humans. Hitler’s Last Days reads like a thriller, both fascinating and disturbing, and is suitable for younger readers as well as adults. We all need to know our common history, and this book makes that history come to life. This book is not available yet, but the description sounds very interesting, and I know that Bill O’Reilly knows history and can portray it in an engaging way. I’ll update this review after the book is released. Based on a true story, this book is thought-provoking and will make you think not only about the events of World War II but about the events in your own life in a new way. Is it better to forgive or to forget? What can guilt do to a person? What is true love? 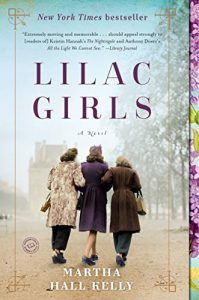 Lilac Girls tells life stories of three women, intertwined and forever connected by the dramatic events of World War II. Civilians faced unimaginable trials and tribulations during the war, and this story portrays this part of history — especially women’s history — in moving and compelling detail. Kristin Hannah is great at portraying family relationships, especially relationships between women, and especially complicated relationships. The Nightingale tells the story of two sisters, Vianne and Isabelle, who are estranged and whose lives are very different. The story starts in France in 1939, shortly before the beginning of World War II and traces some of the most dramatic events that took place there during the Nazi occupation. Like in her other books, Kristin Hannah bases her fictional characters and plots on real events and real people, and she seamlessly weaves in history with the fictional narrative. 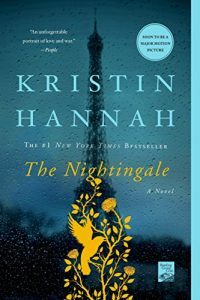 Some critics say that Kristin Hannah tends to be overly sentimental in telling her stories, but I find her writing engaging and emotional. Her background as a researcher makes all her historical fiction, including World War Two historical fiction, accurate, precise, and true to the facts. Killing the Rising Sun tells the story of the development and use of the atomic bomb in Hiroshima and Nagasaki following the refusal of Emperor Hirohito to surrender. 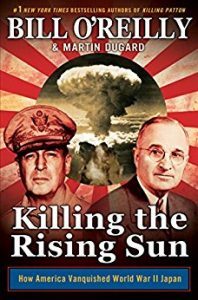 After FDR’s death, it was Harry Truman who was faced with the grave decision about using this deadly weapon, and O’Reilly presents that dilemma in an interesting and historically accurate way. The writing style is engaging and conversational, and the story comes to life because of multiple accounts and personal experiences of various participants in the dramatic final months of World War II. The only aspect of the book that I found hard to read were the graphic descriptions of the death and devastation. But I realize that this was the reality at the time, so it’s not a criticism, simply a personal reaction. Alexievich is a Belarusian jounralist, and her books reflect that journalistic, investigative approach. 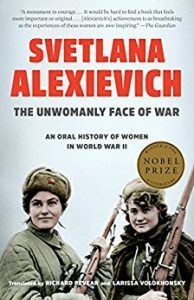 The Unwomanly Face of War is a collection of conversations with Russian women who fought in World War II. The women speak openly and frankly, many for the first time since discussing the ugly aspects of war was discouraged in the Soviet Union. As far as I know, this is the second translation of the book into English. The first one was in 1988, and it was rough and censored. This version, published in 2017, is complete and very well-translated. For many people, Paris is a symbol of beauty, love, and romance, and that’s what newlyweds Ruby and Marcel expect when they arrive there. But it’s 1939, and their romantic plans are interrupted by the Nazi invasion. Their marriage begins to crumble. Then, the persecution of the Jewish population starts, followed by deportations, and everyone’s lives are turned upside down. Ruby meets Charlotte, a young Jewish girl, and Thomas, a pilot in the Royal British Air Force, and together they fight and try to survive. 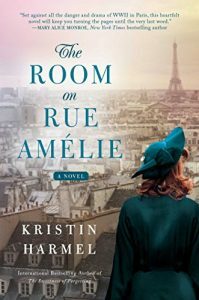 The Room on Rue Amélie is an engaging historical drama and a story of courage and strength. 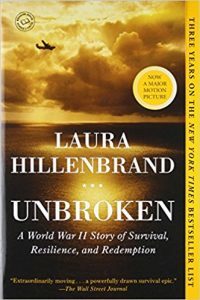 Unbroken, written by Laura Hillenbrand, the author of Seabiscuit, is a true story of Louis Zamperini, an Olympic distance runner who became a war hero and a US prisoner of war survivor. The story begins with Zamperini’s difficult childhood, full of defiance and troubles of various sorts, then traces his maturation as he gets into long-distance running, and continues into the amazing story of his war experiences. Zamperini was a pilot, and during one rescue mission, his plane suffered mechanical failures and crashed into the ocean. He eventually ended up on the Marshall Islands and was captured by the Japanese. His time in the Japanese prisoner of war camp proved to be much more difficult than anything he had ever experienced. Unbroken tells the story of his ordeal and his survival. 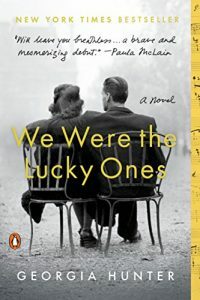 We Were the Lucky Ones is inspired by true events of Georgia Hunter’s family. The book tells a compelling and emotional story of a Jewish family separated by the drama of the early years of World War II. The story starts in 1939 in Poland, with a family concerned with everyday issues anyone can relate to: new families, new relationships, and new babies. But then, their lives are turned upside down as the Nazis enter Poland. The Kurc family scatters in an attempt to survive, and they have to rely on their own strength, hope, courage, and some luck, to live through one of the darkest times in recent history. It’s a gripping and emotional book. 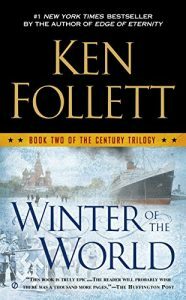 Winter of the World is the second book of Ken Follett’s Century Trilogy, a project impressive in scope, breadth, and detail. The trilogy follows three generations of five families — American, German, Russian, English, and Welsh — as they experience the most dramatic events of the twentieth century. 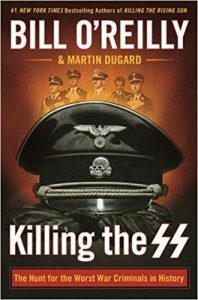 Book Two describes the rise of the Third Reich, takes the families through the dramatics events of World War II, and continues into the early years of the Cold War. Ken Follett can write page-turning plots but he’s also a superb researcher. I appreciated his factual accuracy and his amazing talent at threading together the fates of all these different characters in such an engaging way. Winter of the World is one of my all-time favorite World War Two historical fiction novels.